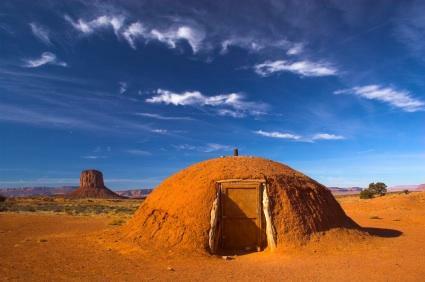 Although they may sound like an idea straight out of a sci-fi movie, underground dome homes are very eco-friendly and make for cozy abodes for the right residents. Domes, including geodesic domes, are incredibly strong structures that distribute stress across their curved or interlocking surfaces. Although this shape is not a common choice for residential architecture, it offers many benefits, especially when constructed underground. Underground homes, which are often constructed with concrete, are very energy efficient.The earth is the ultimate insulator, keeping the home cool in the summer and warm in the winter. They are also insulated and protected from the wind and other elements as well as natural disasters. You don't have to worry about cladding exterior surfaces, since there aren't any! Since your home is underground, you can use your property to plant beautiful gardens, or maximize the space as you see fit. As cool as living in an underground dome sounds, it does come with some drawbacks. One of the major disadvantages is the lack of natural light since windows aren't an option. However, it is often possible to install skylights as a way of meeting this challenge. Making other venting penetrations, such as those for exhaust, can be complicated, and working with the building department will surely be a challenge, as many building officials lack experience with this type of home. Adding interior walls to domes is possible but can be awkward, so you should be comfortable with open spaces or be prepared to add separate domes for separate uses, such as bedrooms, living spaces, etc. Standard furniture isn't an easy fit, since it's usually square or rectangular in shape. Decorating a dome abode can certainly pose a unique challenge. After all, there are no corners to place lamps, and hanging pictures on curved walls definitely requires creativity. Cost can also be a major drawback. While above ground domes can be significantly cheaper than traditional home construction, moving earth adds a lot of extra expense up front, although over time you'll recoup some of what you spend in energy savings . Finding the right builder can also be challenging. You'll need to find skilled workers who have experience with underground structures, which may be very difficult, depending on where you live. Be careful when choosing contractors. Keep in mind that it's important to get it right the first time, since making modifications to your underground home may be impossible. Additionally, these homes should be considered a long term investment, as resale might prove tricky. Glen Young built a monolithic dome home entirely underground in Buffalo, Texas. The home is comprised of five interconnected domes and two EcoShells, totaling 3,000 square feet of living space. The builder dug a hole that measured 200 ft. long by 75 ft. wide by 30 ft. deep. Once the domes were in place, the dirt was moved back to its original configuration, and an uneducated viewer wouldn't ever know a home was located beneath the soil. Young enjoys that his home is so low maintenance, requiring no exterior painting, and is energy-efficient, maintaining constant levels of temperature and humidity, even in the harsh Texas summer. The home also provides security and privacy. Murals by artist James Perez recreate the outdoors, making up for the lack of windows. Young's home was featured on an HGTV show featuring extreme homes. Another example of underground dome homes is that of artist William Lishman, known for his flights with birds, and who was portrayed in the movie Fly Away with Me. Lishman's home was built in the 1980s out of a series of steel domes with Gunnite interiors, similar in form to igloos, that are connected together underground. Interested in Building a Subterranean Dome? Now that you are aware of some of the advantages and disadvantages of a dome home constructed underground, you can make an informed decision regarding whether or not this type of home is a good choice for you. Also, consider that you may be able to enjoy some of the benefits of this type of home without going fully underground. A less-extreme compromise to a completely submerged home is an earth-bermed home, which is set into a hill so that it's exposed on one or two sides. Are you ready to seek more information about what's involved in buying or building your own dome house underground? Check out these resources to learn more.